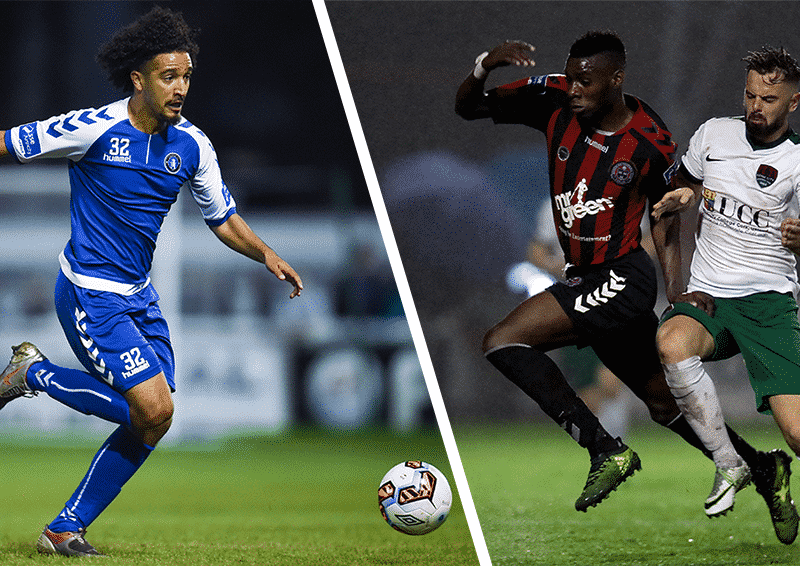 Waterford FC is delighted to announce the signings of Limerick FC midfielder Bastien Héry and Bohemians striker Ismahil Akinade ahead of the 2018 SSE Airtricity League Premier Division campaign. The signings of Héry and Akinade bring the total number of players now signed to Alan Reynolds’ squad to twelve. Former French U18 midfielder Héry had a breakthrough year at Limerick in 2017, establishing himself as one of the first names on the team sheet under Neil McDonald, clocking up 28 league appearances. A product of the youth academy at Paris St. Germain, he went on to play in England for Sheffield Wednesday, Rochdale, Carlisle United and Accrington Stanley before emerging as one of the top midfield talents in the League of Ireland during 2017 with Limerick. “I am very pleased to have signed for Waterford, a club with plenty of history and success in the past; a club that is on the up again now. “First and foremost my ambition is to play football and give my best for the team and the club. I came to Ireland to push on and play European football so ultimately that is my hope by the end of this season, to push Waterford FC onto the next level. Joining Héry on Suirside in 2018 will be the much sought after Bohemians front man, Ismahil Akinade. The Nigerian born striker has established himself as one of the top talents in the country and overcame serious illness to finish 2017 strongly with goals against Shamrock Rovers and Dundalk amongst the four he registered from 15 league appearances. “I signed for Waterford because I see that the club is going places and it has high ambitions. The move to full time football was a big factor also in my decision to make the move. “I enjoyed every second at Bohs. It was hard for me to leave as I felt like I developed a strong bond with the fans over the past three years and the staff and players were great. It was like a family there and hopefully at Waterford, I can make that same connection in the dressing room and with the supporters. “We are delighted to be able to attract players of the quality of Bastien and Izzy to Waterford FC. Off the field we are working hard to put together a competitive squad for 2018 and we are certain that both these players will be great additions. “Bastien emerged in 2017 as a top talent at Limerick. We watched him closely in a number of games towards the end of the campaign for Limerick and he was pivotal in the middle of the park to their good form late on, ultimately helping them steer clear of the bottom three to an impressive 7th placed finish. “With Sean Maguire now gone from League of Ireland football, Ismahil is arguably the top striking talent in the country and we are delighted to have him on board for 2018. He has shown a great willingness to work hard on and off the field to develop his game and character and we are very impressed with the player we have managed to sign.